“We anticipate that 2014 will be associated with high single-digit growth in nonresidential construction spending, a sign that the nonresidential construction industry’s current rate of job growth will continue.” —ABC Chief Economist Anirban Basu. National construction employment expanded by 11,000 jobs in October, according to the U.S. Department of Labor’s Nov. 8 jobs report. 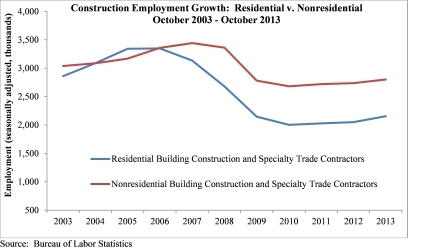 Nonresidential construction employment gained 6,400 positions. The national construction unemployment rate stood at 9 percent in October on a non-seasonally adjusted basis, down from 8.5 percent in September and 11.4 percent at the same time last year. 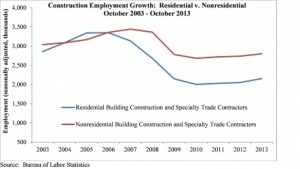 Following are construction segments that produced additional employment opportunities: Nonresidential construction employment rose by 1,900 jobs for the month and is up by 22,100 jobs (3.3 percent) since October 2012; residential building construction employment grew by 4,500 jobs last month and is up 22.4 percent on an annual basis; nonresidential specialty trade contractors added 4,500 jobs for the month and employment is up by 42,800 jobs (2.1 percent); and heavy and civil engineering construction added just 200 jobs last month, but is up by 16,200 jobs (1.8 percent) on a year-over-year basis. 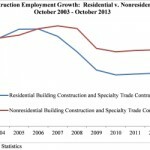 Only one major segment of construction employment lost jobs: Residential specialty trade contractors lost 6,600 jobs in October after losing 15,800 jobs in September. However, the segment is up by 78,500 jobs compared to October 2012. View this release on ABC’s website. 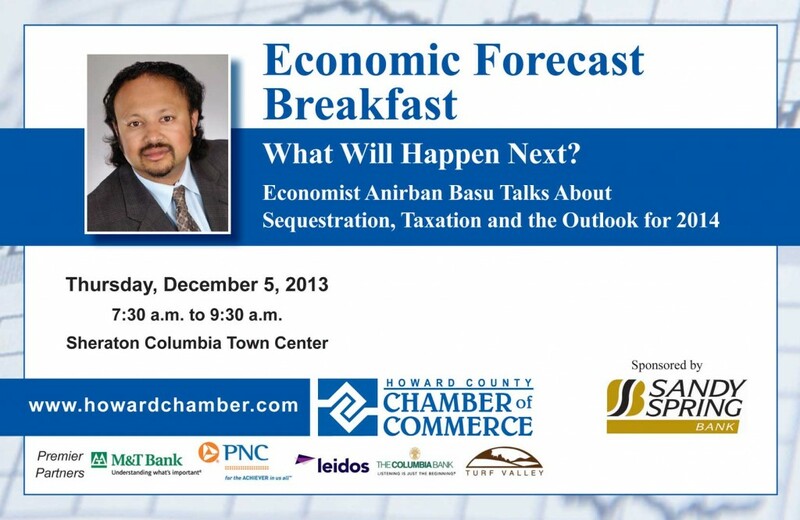 Join us for an engaging discussion of the economic factors that will affect businesses in the coming year, and the results of the Chamber’s annual Economic Survey.